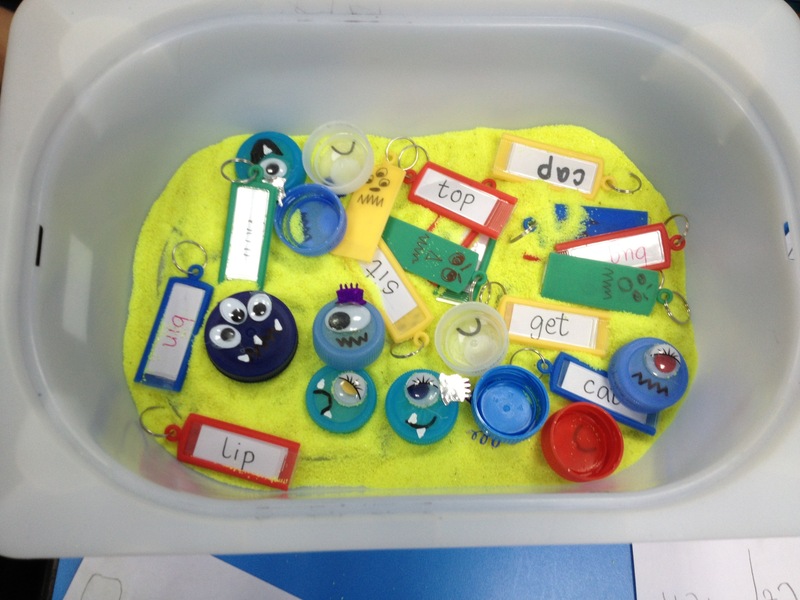 This Monster keychain CVC sensory tub was a huge hit in my class. It contains yellow coloured sand and keychains with CVC words on them. Children read the words and wrote them on slips of paper. Monsters are made with bottle caps.